Since I’ve been promoting hydration as the most important part of the alkaline dietI’ve had heaps of questions asking me whether herbal teas are alkaline, so I thought it would be a nice idea to blog about my favourite alkaline herbal teas! First, a Question: Is Boiled Water Alkaline? The first thing to address is this – is boiled water alkaline? Water that is alkaline due to ionization or mineral content holds it’s pH wonderfully even when boiled. You can use a water ionizer, alkaline water jug or other filter to make alkaline water, boil this and you’re set. If you’ve ionized the water, it also holds its ORP too (if you use a glass kettle, a metal kettle will remove the ORP benefit). Redbush Tea (rooibos tea): absolutely PACKED with antioxidants, this awesome tea is a great drink to have if you’re trying to transition away from coffee. It’s slightly bitter taste helps replace that bitter urge for coffee and black tea. It’s packed full of nutrients including calcium, manganese, zinc and magnesium – all powerful alkaline minerals. Peppermint Tea: very alkaline, very tasty and very, very good for digestion. It’s refreshing, natural and caffeine free and has been widely recommended for IBS, flatulence, bad breath, nausea and heartburn. Ginger Tea: one of my personal favourites, this zingy bad-boy is also good for digestion and nausea – but is also great for circulation, colds, flu, stress and headaches. Rosemary Tea: native to the Mediterranean, Rosemary is another big hitter in the antioxidant stakes. I love it because it grows SO easily and you get LOADS of it when you grow a bush! It’s high in the following: beta-carotene/Vitamin A, thiamin/Vitamin B1, riboflavin/Vitamin B2, niacin/Vitamin B3, Vitamin B6, Vitamin B12, biotin, pantothenic acid, Vitamin C, Vitamin D, Vitamin E and Vitamin K making it a great all-rounder! Lavender Tea: the best smelling tea, lavender is the great relaxer – helping ease you off to sleep, to ease anxiety and stress and to help unwind after a long day. Luckily I’ve got almost as much lavender growing as I have rosemary! Update: More Delicious Teas for You to Try…! Since I wrote this post, my passion for tea has only grown over the years (I think I wrote this four years ago…ish? ), so I wanted to point you to a few more of my favourites. This tea is very simple, but incredibly delicious. All you need is water, a cooker, some fresh ginger and some fresh turmeric and about 10 minutes! Once boiling, bring to a simmer for 10 minutes (roughly) and then serve! You can certainly leave it to simmer for longer if you want it stronger, and if it IS summer (lucky you) you can also chill in the fridge and serve as a deliciously refreshing iced tea! This one takes a little longer, but geez it’s worth it! Warming, soothing, comforting – it’s my #1 winter favourite (aka hug-in-a-mug). Why These Two Teas are SO Powerful! 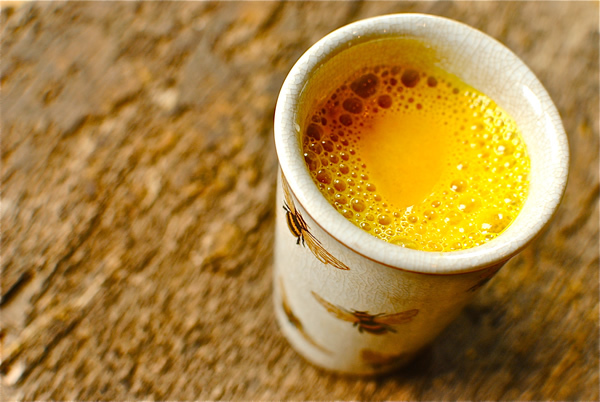 Turmeric and ginger are both from the same family, and are two of the most powerful ingredients I’ve ever researched in the 13 years of running this site. They have been used for centuries in cooking AND as for their medicinal properties, with their use as a medicinal ingredient dating back to the ancient Egyptians and Indians. Both are certainly prominent in Ayurveda. I’ve written a heap of guides in the past about how inflammation, low immunity and acidity is the root cause of almost every condition – and these two teas will help address all three of those issues. I got this awesome homemade sleepytime tea recipe from…a bedding company! Makes sense! I tend to leave out the catnip as it’s sometimes a bit hard to find. But the rest of the ingredients are easily found at any half decent natural health store or online (I’d bet you can get all of these ingredients on amazon – here’s the Lemon Balm for instance). To be honest, aside from green, white and black tea (which all contain caffeine – yerba mate contains a little, but not as much as these and nothing to worry about) you can’t really go wrong! Herbal teas are a great way to up your fluid intake with flavour! And of course, feel free to add lemon, mint or anything else like cinnamon to add extra alkaline flavour! Enjoy and let me know your favourite in the comments below! My nutritionist told me to stay away from peppermint because it’s acidic. Is Green Tea alkalising. I heard that it was quite acidic. Is nettle tea alkalising. Really enjoy your info, have been following you for a few years and will continue. Do you think alkaline water and alkaline diet have a positive effect on cancer? Is Nerada organic rooibos tea (vanilla) also alkaline? It seems …no actual tests on any teas, alone, to see if they still cause the stomach to produce acid have been done . True? The stomach will always produce acid, it’s just you want it to produce acid in the correct ratio with the right balance of sodium bicarbonate production too in order to ensure proper digestion. What are your thoughts on Kombucha Tea? Is chai tea, as sold by Starbucks, made with coconut milk, alkaline? What if you drink decaffeinated green tea? I’m struggling with the fact that green tea is acidic, is it soley the caffeine content? What about white tea if it is decaffeinated? I have no idea how you could possibly come to the conclusion that peppermint, turmeric etc. are man made. This is one of the more bizarre comments I’ve had on here in the past 15 years. Oxidation Reduction Potential – essentially it’s a measure of antioxidant capacity. Peeling ginger is not really necessary. The skin has the digestive properties. I read somewhere. Yep, probably, but if it’s not organic ginger I’d recommend peeling. Does anyone market an alkaline tea that uses something other than aspertame for sweetening? DEAR J MICHAEL… NOT FOR TEA BUT FOR SWEETNING. TRY EXYLITOL. WALMART SELLS, BUT IT IS NOT CHEAP. 5LB. BAG, ABOUT $23.00. I HEARD IT IS ABSORBED INTO BODY AT A SLOWER RATE THAN SUGAR, AND OTHER SUGAR SUBSTITUTES. I HAVEN’T TRIED, BUT IT IS ON MY “GOT TO DO” LIST. Thank you so much for this excellent info! I’ve just gathered and dried a huge amount of wild sage on a Greek island – is it alkaline? Have found your blog by chance- trying to getridof my daughter’s reflux. Would you be so kind as to comment please? Yep – you’re good with all of those teas. Are you on Pinterest to follow? I love your article and would live to follow you on Pinterest. Is basil tea Alkaline or Acidic? I would like to join this group.i need your help and support for improvement of my life. Hi Ross. I am a single dad of 3. Ages 16 14 10. Always on the go with the children to sport school etc. I work. I find i do alot of semi healthy meals but have a coeliac son so do not eat wheat., barley etc. Have you some recipes for mainly gluten free but ALKALI. Because i am feeling a little poisoned by the food i eat. AND l know i need to move right away from sugar and coffee. But want to start with teas and diet. Particularly main meals. Please get back to me. Thank you. Hi Ross, I didn’t know how acidic coffee is. Have you evaluated Arbonne’s Detox Herbal Tea. There products are caffeine free, gluten free, dairy free, vegan. I have used this tea for about 1-1/2 years now. Thank you for the helpful information on alkaline teas. However, you should definitely edit the text regarding mint tea. It is very detrimental to those who suffer from GERD/heartburn. It’s a powerful relaxant for the lower esophageal sphincter, which promotes the flow of acid up into the esophagus. Every piece of medical advice I’ve seen recommends that those with reflux absolutely avoid mint. Are dandelion or Camille teas acidic? Hello, are the Sound brand sparkling teas to be categorized as alkaline or acidic? Especially the chamomile, vanilla tea? Is chamomile tea alkaline? I am a beautiful person who is newly diagnosed with stage 4 breast cancer.. I plan to fight back with diet and herbs and exercise to start with but I am away from my home in Houston Texas at the Hilton Hotel and there is nothing good for me to eat right now. I am on an acid free diet because of my bad reflux. Would you know anything about an herbal tea by stash called spice Dragon red chai, caffeine-free herbal tea ingredients are: 100% natural cinnamon, Rooibos, ginger root, clove. 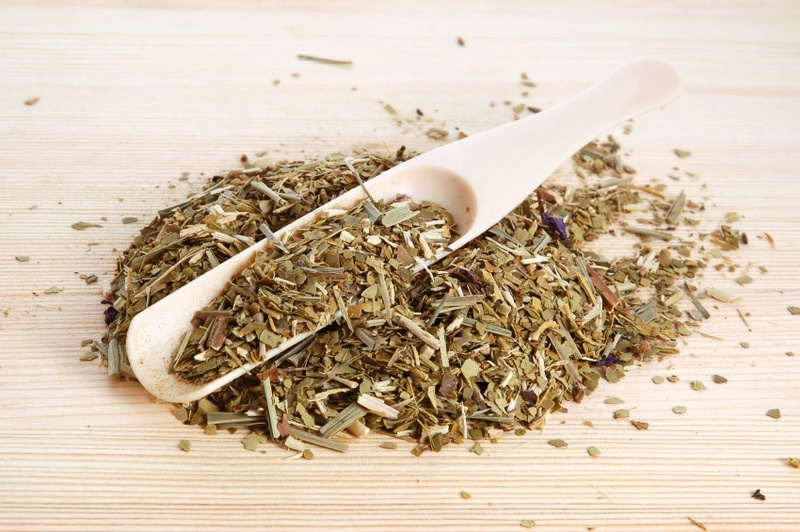 Have you ever tried Thyme tea? It is one of my favorite teas ever! As it is herbal, it should be alkaline, right? Thank you for this article! I drink a cup of decaf every day, but would like to increase my taking of chai tea. I understand that black tea is acidic. My question is: If I add pieces of ginger and turmeric, will I make it less acidic? The ingredients of my chai tea are: black tea leaves, cardamon, cinnamon, and dry ginger. I could add fresh slices of ginger and turmeric. I drink it with honey and milk. Thank you for your response! The honey and milk are the most acid forming ingredients in that drink. For sweetness use rice malt syrup as this contains no fructose (which is the issue with honey). 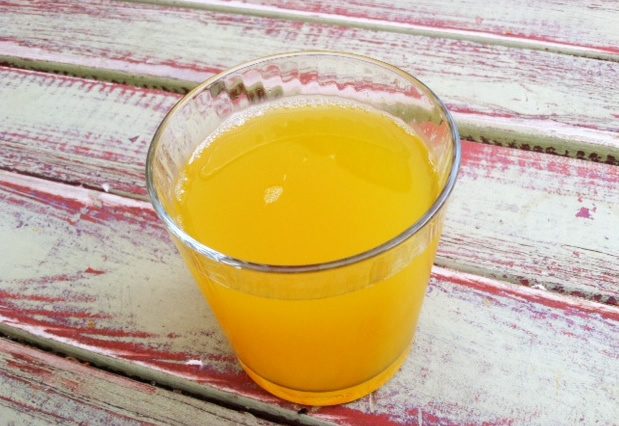 Fructose is the worst of the common sugars. My son has aggresive malignant melanoma. He is 50 years old, and ‘spots’have now shown up on his lungs. We are IMMEADIATELY going alkaline, but, he is a coffee addict, by that I mean he has about 10 cups a day. How do I ween him? I noticed in your comment that you had an issue with your son being a “coffee addict”, but don’t worry! Everyone has some particular habit or sense, and it’s easy to get rid of. One way is to simply replace the habit with something else, such as gum, or fruit. meaning, if he yearns for coffee have him chew some gum instead. Hope this helps! Lavender is my favorite tea I wonder if that would mix ok with rosemary and ginger or just the ginger & rosemary is what i should stick with.i gave up all soda and acidic drinks & notice a heck of a difference quick. Peppermint is a known trigger for acid reflux, as are any hot beverages including hot tea. If you have gas or bloating, peppermint can soothe and relax…just remember it also relaxes your esphogeal sphincter! I have reflux and can’t tolerate any teas, not even herbal ones. Good article. But how could adding lemon juice (citric acid) to the tea make it alkaline? Rooibos is one of my favorite teas. Like others mentioned, I would not have described it as bitter, but rather, very smooth. I’ve had Yerba Mate which I think is more satisfying to coffee lovers. Chai also seemed to work well when I was trying 5u wean of coffee. Maybe it was that spicy bit of cinnamon that did it. To avoid chemicals or unhealthy decaffeinating practices, I only buy certified organic. Yerba Mate, some Luo Han Guo (monk fruit) for sweetness, and a teaspoon of organic, raw coconut oil. Yummy & filling, and alkaline! Enjoy. I”m sure these teas that you have listed are fine, indeed. The highest mineral content lies in these herbs: alfalfa, nettles, lemongrass, lemon balm, dandelion leaf, red clover leaf and flower, spikenard leaf (a bit hard to find), parsley leaf, horsetail…..camomile is nice in the mix too. I usually take a few of these and mix them for one tea…then take another few, and mix them. so I have a few jars of different mixes, and alternate them every few days. Infuse the herbs in very hot water overnight, then strain in the morning and drink during day. sometimes i’ll make a couple quarts to drink during the day…. Can any of these herbs be used to naturally alkalize drinking water? They all contribute in their own way a little, but none are a full alkaline water solution on their own. They wouldn’t affect the pH enough. Thanks Energise Ross, so do you think the Alkaline water systems are required to alkalize water? An herbologist told me they were all scams and that water can be naturally alkalized. Alkaline water systems are not the only thing in the market which can alkalize water – But they are probably the most effective and reliable for a limitless source of alkaline water. Pingback: Is Your Digestive System Making You Sick, Tired & Overweight? I have only recently started to drink herbal teas and cut down on caffeine. Before I used to drink lots of black tea, coffee and energy drinks. I was never really keen on herbal teas but I have started finding some that I like. I really like liquorice tea and I am drinking plenty of it. Please tell me that it isn’t the only herbal tea that is not alkaline! mmmmmmm im also very fond of my rooibos tea:-).Im from South Africa and i find it a bit interesting,that you say rooibos has a bitter taste lol.On the contrary,its naturally sweeter then most teas:-).Greentea on the other hand makes me want to vomit lol.Great article! What is your opinion of pu-erh tea? It’s fermented for 60 days, so I’m wondering if that changes the ph. Pingback: Make Alkaline Water Delicious! Hi there, I’m from one of the biggest consumer of Yerba Mate country in the world, Argentina and I’ve got to warn you about it. It has a huge quantity of caffeine. People are addicted to it, as it has so much caffeine, and they can’t start the day without it. I’ve drunk it my whole life and some time ago I’ve just left it because it made me so nervous. The detox and all that is true, but it doesn’t worth the caffeine. Hi Ross, wondering if you have experienced “moringa” tea. As the tree is recognised as being the most nutrient dense plant on earth and the powder is acclaimed to assist with over 300 diseases, i was wondering if Moringa tea is firstly alkaline and secondly if it maintains all of the nutrients,vits / minerals, amino acids, antioxidants and anti – inflamatories, etc. Hi, Ross! You provide great information. wonderful and gentle morning wake-up! 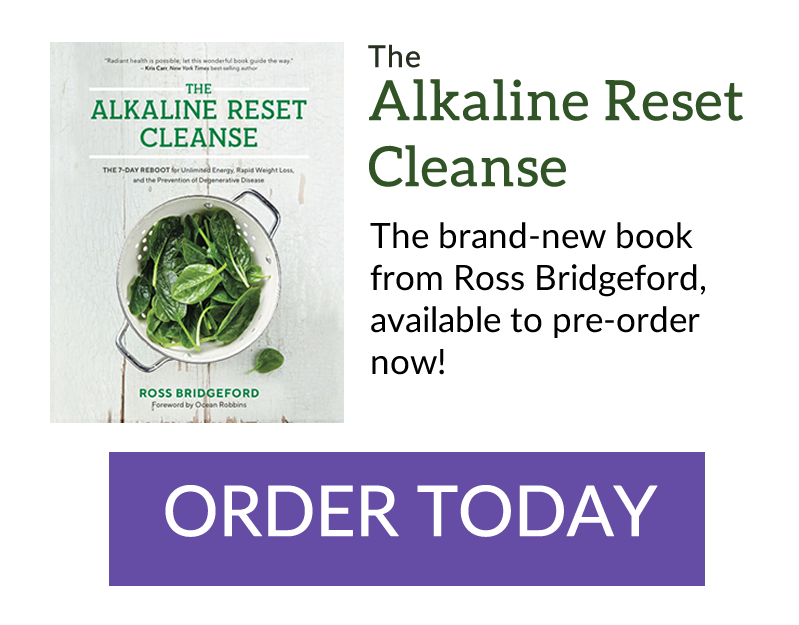 Pingback: 5 Brilliant Tips to Stay Alkaline & Stay on Track! Also do you have any recipes for alkaline smoothies? Please i would like to get your news letters. Have been really suffering from acid stomach. All tests say it is well but what i eat and drink seem to determine how i feel. Can you please tell me about alkaline food. Some just mentioned red bush tea which took me to your website and i see it is very rich. Please enlighten me on the acid alkaline Diet. pepperming tea is known for heartburn not for relieving heartburn. where did you read that peppermint tea reduces heartburn? You are correct, peppermint is evil to the esophageal sphincter and causes acid reflux to rage. Peppermint tea does wonders for my bloating and pain. Just had some yesterday and worked great on me. I sell organic tea and coffee and research them to find the good and bad in them to pass on to my customers. Pine tea is also delicious, and if you have a tree nearby, it’s free! Brew hot or cold and don’t sweeten in any wsy until you’ve tasted it alone! But, if you prefer, a touch of cinnamon, lemon, mint or vanilla might be a great addition. There is a box with a place to hit “Like” or “Tweet” etc. that I can’t seem to move and it makes it really difficult to read anything on this website. Is there a way to move it? Try a different browser – doesn’t do it on mine. I am using Firefox. I would love someone to help me understand why nearly all herbal teas give me reflux-like symptoms? Why do alkalizing teas not work for me? Rose Hip – rips my guts apart. Peppermint – shocking. Camomille – bad. Rooibos – bad. Lavender – bad. Even lemongrass and ginger which I love. I do have fructose malabsorbtion problems and wonder if all teas have natural fructose? Maybe you just have a sensitivity to tea. I find I can’t tolerate herbal teas either. Any hot beverages can trigger reflux. Herbal teas are known for carrying mould (if they are old etc) perhaps you have a mold sensitivity – that can happen if you have a candida imbalance etc. How are your sinuses? Hay fever? Check out your relationship to mold. How is a high quality yerba mate? Good luck! Don’t worry. You’ll get to the bottom of it. Me too. I think the teas are treated with something. I can tolerate very few. Thanks a lot for the fantastic post. Whereas I was reading it I found a number of issues that I’ve been considering lately. I needed to leave you a short note to let you know that I admire what you wrote. Recently I’ve been coping with some tough private issues and have felt considerably disconnected. There is a number of online content available but it’s excellent content material like yours that gives information to individuals such as myself. I learned so much from your post. Thanks, and I will definitely keep in mind your post and come back once more to learn more of your terrific content within the future. Sorry, mis info on the yerba mate. although a great tea, it does contain caffeine. Mateine is just another name for caffeine probably coined to sell more mate. Mate is great, especially as a replacement for coffee or black tea, but not for those sensitive to caffeine or with caffeine addiction. Use in moderation. Ross, you mention that rosemary tea has B12. I understand that B12 cannot be found in plants? I just wanted to now if boiled tap water is alkaline? Boiling your water is just killing the germs in it but not necessarily increasing the alkalinity. This is a great blog I LOVE teas and I will certainly be adding these teas to my diet and checking out your posts often, thanks for spreading your knowledge I appreciate it… check out my blog sometime when you get the chance, it’s always good to build with those who are like minded, peace! Thank you so much I appreciate it. We do our best to help people to live a healthy life style. So I switched over to drinking tea. I thought only green tea was a choice, but now I know there are others. I’m glad, because I don’t really like green tea. What do you think of tea with fruits rich in anti oxidants? Do you think I can make my own fruity tea? Thank you in advance for the reply. I learned a lot, thank you! Forgot to add – Yerba Mate tea is heavenly! I drink that in place of green tea. I also use a chai spice “tea” (no actual tea in this only the spices ) and add the yerba mate to it. Wow! Great idea. I’ll try it! Thanks for your educative write up, might help if we can readily locate where to get these teas. Hi Ross. I always have peppermint tea after a meal in a restaurant or at home in the evening. Fennel is great for digestion and I start the day with hot water and a slice of lemon. Cammomile is great for winding down as I am a very anxious person. I avoid dairy for health and ethical reasons. A year ago my husband had lots of probs with over acidity. A nutritionist made us aware of you and now my husband loves all the herb teas he once shunned. His athletes foot has gone and he has lost about 7lb of tummy flab. Amazing what simple changes can do. Thanks for all your info. christine Parmenter Sheringham Norfolk. With tea being packed into teabags, are they considered alkaline as well? Read from the net that teabags are not “friendly” to our body. 1. What about the caffine in Yerba Mate? 3. Vanilla – my wife loves a vanilla mint tea that has vanilla flakes? 4. Does the freshness/storage of teas make a diffence? I believe that the stimulant in Yerba mate is Mateine not caffeine. The two are very different. Finding it a bit tricky not having my morning coffee at work… any good suggestions? I do love dandelion, peppermint, ginger, lavender and rosemary tea but they don’t seem to give me that “wake me up kick” I get from coffee, doh! Thanks Richard for the herbal drink suggestions. I can now do without tea or coffee ! I’ve lost a stone! now able to jig!! Thanks for a great article. This is info I will save and use. You don’t mention nettles, which, according to Susun Weed, are a powerhouse of nutrients. What do you think? I’d like to know more about what we get out of other herbal teas, such as lemon balm, catnip, and hibiscus. A final question: Is the alkalinity of the herbal tea increased by adding a few drops of lemon juice? I have terrible issues with acid reflux, and I have been using this alkaline diet since November 2010. I love finding news recipes and different ideas on what I can add to my diet. I love red bush tea and I have been drinking since I heard it was alkaline. Thanks for more teas to add to my list. I also lost 10 pounds since I started this new eating lifestyle and I feel like myself again. It has always worked so far when recommended to clients suffering. no joke, it goes against instinkt to put a sour apple into your tummy, it’s mainly the skin so do not peal! But has your acid reflux GONE? Id like to know because I have the mild form of it (LPR) and would love to know what works for others. I love Rooibos from Africa. Absolutely love Rooibos Tea!..I drink a Rooibos Chai blend, very flavorful..Fortunately, many of the teas you listed, I am consuming. I love adding grated ginger to my lemon water. I sweeten with Stevia..hope I’m doing it all right. Looking forward to trying the Lavender Tea. Miriam I would say no. Ross and other alkaline diet websites are pretty clear about anything with caffeine not being alkaline. Green tea and oolong tea have caffeine. I am celebrating finally feeling settled with the alkaline diet. It has taken a couple of weeks, but I am now starting to find the discipline easy and my system feels nicely balanced with no cravings. Half of your email did not come through…..please resend. How can green tea be good if it has three times the caffeine if coffee? I heard it damages tooth enamel also. I’ve lately been feeling slightly sick after drinking it. I used it as a coffee caffeine substitute but it dehydrates me more than coffee and effects my mood…and in still hooked on caffeine! I’m huge fan of red bush (roiibos) tea. I’ve recently seen a green tea version of it which is naturally caffeine free (made by Tick Tock). I assume this will be alkaline, but it’s not clear whether there’s more anti oxidants in it versus the normal red bush version. One to be aware of. It tastes less bitter than the traditional caffeinated green teas. In Nigeria, it is difficult to get the teas you mentioned. Also it is not easy for us to get foreing currency to order from abroad. We are handicapped. Please if you have any contact in Nigeria that could help I will be highly appreciative. Thanks for improving the well-being of human beings. Hi Ross (long time no contact from me but I am still around!). What do you think of Tulsi tea – this is the one all my fellow Personal Trainers are raving about at the mo! Just about to MEGGA do the pH again (I m am pretty good but little things are slipping back in) – so will be back on the forums again. Although I am strict in what I eat I have NEVER felt as good as I did on the pH protocol, so need to revisit and WILL start on Thursday! (there is logic here trust me!!). All the best and yo are doing a FAB job! For Julie,. I just saw you question and I also have Interstitial Cystitis and have drunk marshmallow root tea every day for about 6 years. Also I have heard that slippery elm tea is good but I have not used it. Marshmallow root tea bags get kind of slimy in water and I think it coats the bladder. Wasted many months with treatments from a specialist that did no good and the tea has helped me more than anything. Don’t know if it is alkaline but helps my pain. Julie and Leah, I also have Interstitial Cystitis. I found this article because I was searching for a new tea as the Body Rescue Alkalizing tea I’ve been drinking has been discontinued. If you are not already aware of this product, I use Prelief to reduce/eliminate the painful effects of acidic foods. It has been a life saver for me and don’t know what I would do if its ever discontinued. If you haven’t tried it, you can buy it at Walgreens or online. Now i’m confused! The data i’ve seen on yerba mate gives a caffeine content of .7% to 1.7%, compared to 0.4% to 0.9% for tea. So why is yerba ok, but tea isn’t because of the caffeine? is taheebo tea an alkaline? what was the end of the lemon water sentence please? Also, apart from alkaline water I have only drunk lemon & ginger tea for over twenty years (as I was previously addicted to coffee drinking over 20 mugs per day) – and have felt much better for it. Now people are warning of the effect the lemon in the tea can have on the enamel of our teeth (as it’s not possible to clean teeth every time I drink). Have you any comment on the tooth enamel health and lemon please? I believe green and black teas are a definite no no but my concern is the water used to make any tea. I can’t afford to ionize. So, just how much am I undoing any good that my diet is doing. Without ionized water is there any point at all? I use fesh lemon but someone has suggested adding hydrogen peroxide instead. (Albeit in weak solution..8 drops to 5 litres) Is this wise? Do you recommend NOT drinking green, white and yellow tea? I know they have some caffeine, but they are also packed with anti-oxidants, right? This is a very good question: I have read much conflicting info about green tea especially – some say it is acid and others say it is alkaline. I was told by a naturopath that a teaspoon of lemon juice would make green tea more alkaline so by that I presume it is acidic. « Getting Nutrients from Nutrient Dense Recipes…a Breakthrough? !